Under the auspices of the international Federation of Gay Games and with the support of the main public institutions, PARIS 2018 GAY GAMES 10 is a project of volunteers and non-profit organizations. You too can bring your support in order to make the experience unforgettable for each participant et each spectator. PARIS 2018 is a federation of energies to build this kaleidoscope of sporting, cultural, festiv, and humanist events. We absolutely need your help to welcome 15000 participants, to offer a full world-class program and to change minds. There are many kinds of help you can offer. We count on you! 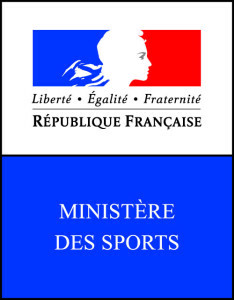 Ministry of Town, Youth and Sports has supported PARIS 2018 GAY GAMES 10 since the bid. Minister Mrs Valérie FOURNEYRON came to Cleveland with the bidding team during the final round in October 2013. Since then, Ministers Mr Patrick KANNER et Mr Thierry BRAILLARD have confirmed their support, in particular to fight violence and discriminations in sport. Support include a grant given by CNDS (National Center for Sports Development), a full time staff given to PARIS 2018, communications and participation at the Institutional steering committee of PARIS 2018. The National Center for Sports Development (CNDS) committed to give grants for innovative projects to PARIS 2018 GAY GAMES 10 . A three year convention (2016-2018) has been signed in 2016. PARIS 2018 is considered as an international sporting event and is monitered by the interministerial delegate to international sporting events, Mr Nicolas DESFORGES (DIGES) and his team, which contributes in a very efficient manner. The Region of Île-de-France has supported PARIS 2018 since the bid. The newly elected team and her president Mrs Valérie PECRESSE confirmed their support, in particular in order to fight homophobia in sport. This helps includes grants, free venues, communications and the participation of the Vice-President, Patrick KARAM as member of PARIS 2018 Institutional steering committee. The City of Paris and Mayor Mrs Anne HIDALGO have supported PARIS 2018 GAY GAMES 10 since the bid. Mayor’s Deputies Mrs Hélène BIDARD, Mr Jean-François MARTINS and Mr Bruno JULLIARD and their teams participate to the institutional steering committee of PARIS 2018. Support includes coordination of all public services of the city of Paris, free cultural, sporting and festive venues and some grants. PARIS 2018 is a window for the City of Paris to welcome international events and an exemple of making the city a unique and giant playground. Paris 2018 – Gay Games 10 will be looking to partner with leading local and international organisations who can help us deliver the ‘best Gay Games ever’. For more information on how PARIS 2018 can meet your strategic, marketing and sales objectives please email our delegate of development: Claire CABANEL. More information about our partner Groupe Renault on their website. Paris 2018 has many supporters who facilitate PARIS 2018 GAY GAMES 10. Honorary presidents, Mr Pierre BERGE, president of the Yves Saint-Laurent Pierre Bergé Foundation and Mrs Isabelle LAMOUR, president of the French Federation of Fencing ally sport and culture. The same for our four patrons: Mrs Laura FLESSEL, Mr Jean-Paul CLUZEL, Mr Jean-Paul GAULTIER and Mr Ryadh SALLEM. Their commitment for equality is an example. Eight other ambassadors support PARIS 2018 GAY GAMES and participate to spread our our messages to the general public. They will also take part to the Gay Games as participants. Laura Flessel-Colovic, nicknamed “the wasp” is one of the greatest French champions. A sword specialist, she is a five-time Olympic medalist (including individual and team titles won in 1996), a six-time world champion and a European champion. At the Olympic Games in London 2012, she is the flag bearer of the French team at the opening and closing ceremonies. Laura Flessel supports several humanitarian and solidarity actions such as the AMREF Flying Doctors France, Handicap International and the NGO Plan France25. She works to popularize and promote fencing, especially in neighborhoods and among young people. After a term at the Economic, Social and Environmental Council, Laura Flessel was appointed a member of the National Sports Council. From 2013, she became the ambassador of Paris 2018 and moved to Cleveland for the final selection. She is now Minister of Sports. An international Champion proud of the Gay Games colors Former international footballer (soccer) player, winner of multiple titles, and sports awards, Lilian Thuram becomes ambassador of Paris 2018 for the tenth edition of the Gay Games. In this role, he will be charged for promoting the event and defending its principles – Participation, Inclusion, and Personal Best™ – to the general public. Particularly sensitive to the inclusive aspect of the event, Mr. Thuram is ready to form a football team or participate in another sport in order to participate in and help us reach our goal of 15 000 participants. Discover a video clip of showing his support here. A long-standing commitment against the discrimination Lilian Thuram continues its fight against all forms of discrimination, including in his eponymous Foundation, whose mission is to “eradicate racism through the education”. By becoming a major spokesperson of Paris 2018, Lilian Thuram has shown his commitment to diversity, respect, equality, sharing, and solidarity. Ryadh Sallem, aged 45, has participated in four editions of the Paralympic Games (Atlanta 1996, Sydney 2000, Athens 2004, London 2012) within the team of France’s basketball chair and rugby chair. He has won three European Basketball Championship titles and a world record in medley relays swimming. He is one of the most versatile disabled athletes of his generation. Committed, he founded in 1995 CAPSAAA, (Cap sport Art Adventure Friendship), association to raise awareness among able-bodied people and promote a positive vision of disability. Jean-Paul Gaultier is the French fashion designer known throughout the world. He was master of ceremonies at the opening of the Gay Games in Amsterdam in 1998. Jean-Paul Cluzel presided over the Reunion des Musées Nationaux and the Grand Palais. Former Financial General Inspector, he was director of the Opéra de Paris and president of Radio France International and Radio France. Maguy Nestoret-Ontanon is a French athletics champion in 200m in 1993, 17 team selections from France and ex-commissioner on the fight against discrimination in sport at the Ministry of Sports. Thanks to these positions, she sat on the Institutional Monitoring Committee of Paris 2018 for a year. Ophélie David is an accomplished skier with an impressive track record. After her debut at the Olympic Games in Lillehammer in 1994, she joined the French team in 2002 in ski cross and surpassed the world competition with many victories in the world championship in 2007, in the world cups (3 large crystal globes in 2006, 2008 and 2009 plus 7 small crystal globes) and the X Games (4 gold medals). She is the winner of the ski cross season in 2004, 2005, 2006, 2007, 2008, 2009 and 2010. She also participates in the Olympic Games in Vancouver in 2010 and Sochi in 2014. Emmeline Ndongue-Jouanin is a French basketball player who has retired from basketball since 2014. With the French Team, she was Olympic vice-champion 2012 and European champion 2009. Born on September 4, 1981 in Brest, Gilles Rondy is partnered and dad of 2 girls (5 and 8 years old). He did all his scholarship in sports and study section until obtaining his diploma of engineer. He then integrated EDF with a status of high-level sportsman, which allowed him to integrate the world of work while preparing the Olympic Games. Here are his charts: – European Champion on 25 kms in 2006 in Budapest and vice-champion in 2002 in Berlin – 4th of the world championships 2006 on 10 kms – 15th of the Olympic Games of Beijing on 10 kms – French Recordman of the English Channel crossing in 7h54. Nowadays Gilles Rondy still works by EDF in Martinique where he can enjoy swimming in the sea all year long. With a record of over fifty championship victories, John Mickael M’Bumba, 33, 1m85, participated in English boxing at the 2008 Olympic Games in Beijing. He is multiple French champion from 2007 to 2009, bronze medalist at the 2007 world championships in Chicago and 2009 in Milan and gold medalist at the 2006 European Union Championships in Pécs. He holds a 2nd level state diploma in sports education and is committed to transmitting and working for young people in his club: the Aubervilliers Boxing Beats. Open to others and attentive to the respect of difference, John is particularly attached to Olympic universalism. ISABELLE LAMOUR is a fencing champion (Individual French Senior Champion in 1990, Individual French Junior Champion in 1985) who competed in the Seoul and Barcelona Olympic Games (5th in a team). Since 2013, she has been President of the French Fencing Federation and a member of the administrative committees of INSEP (French National Sport Institute) and the French National Olympic and Sports Committee (CNOSF). Isabelle Lamour is a dentist. She is awarded Knight of the Legion of Honor. Welcome the world during GAY GAMES 10! In August 2018, we will have to help 15000 participants on 70 differents venues in Paris and surroundings so that they can give their personal best. PARIS 2018 gathers 150 volunteers. Be part of our strong team that will make it happen. If you have a positive attitude, if you are approachable and friendly, if you have an ability to work well in a team environment and “go the extra mile”, then you will be an outstanding ambassador for the PARIS 2018 GAY GAMES 10.